911uk.com - Porsche Forum : View topic - Windscreen/Wiper wind noise? - Do you have any? 911uk.com Forum Index > 997 (2004 - 2012) > Windscreen/Wiper wind noise? - Do you have any? Do you have any wind noise at 60+ MPH? Posted: Sun Oct 28, 2018 5:16 pm Post subject: Windscreen/Wiper wind noise? - Do you have any? In my continuing confusion having bought a 911 a few weeks ago, I still can't work out whether the noise I hear is normal or not. Basically at 60+ MPH, I seem to getting some noise from the centre/left of the windscreen, it sounds like its coming from near the bottom almost like static from the speakers or some erroneous air coming through the demister vents. 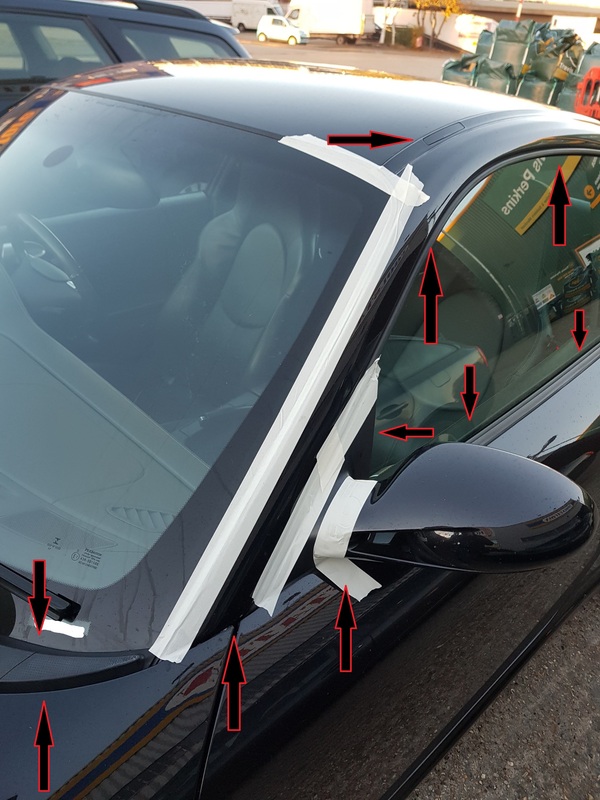 I just tried masking off the passenger side of the screen and it made no difference, and I am wondering if 911's just make more noise that average at speed and perhaps its just air hitting the wiper blades? Or it could be the windscreen but for it to be coming from the bottom and with a tightly fitted scuttle panel...it just doesn't make sense. Anyway your input on the noise would be great, or other suggestions to try. A less than satisfactory fit to a replacement windscreen? 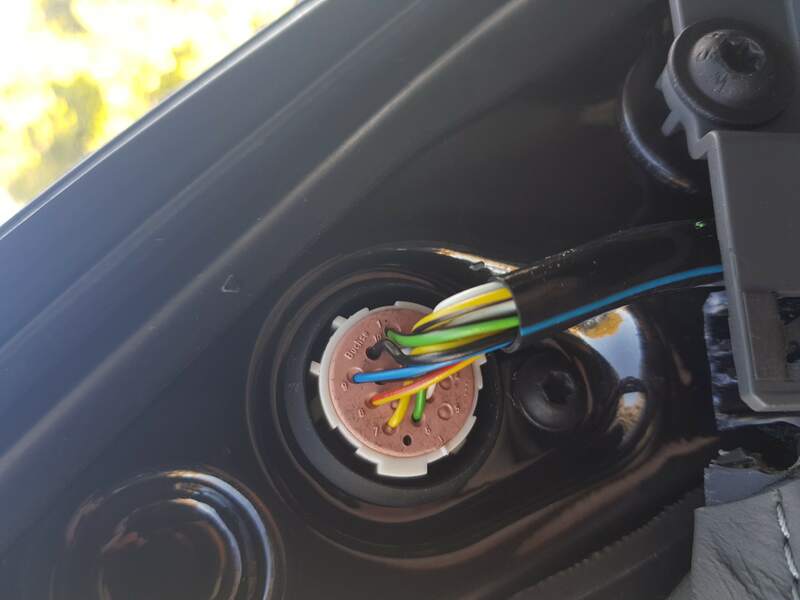 I don't know if that's what is causing the noise in your car but I have experienced noise coming from the windscreen edge when going over certain speeds, and that followed a windscreen replacement. After a refit the noise disappeared. 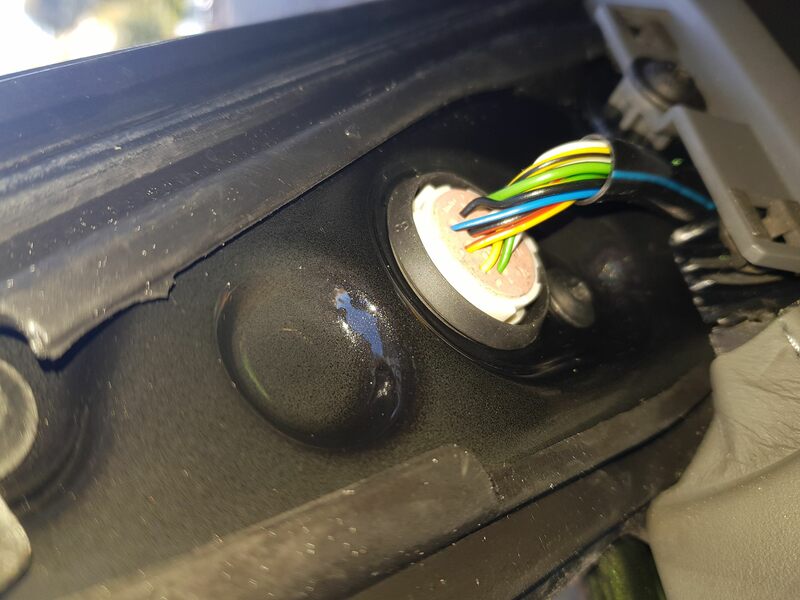 Just a thought but remove the inside cover for the wing mirror and make sure the wiring plug doesnt have any gaps around it that could let air through .. wind noise . Cover pulls out at the base BUT lifts upwards at the top. Thanks I will check this , as it does sound like any windnoise from the from the areas I mentioned at national speeds is unusual. Might be the non-standard wipers. 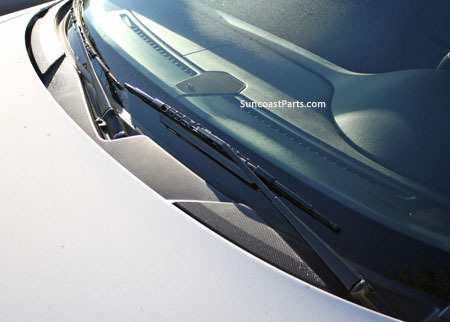 You raise a good point though, my passenger wiper looks too low based upon some low res pictures I can see elsewhere. Just a thought but make sure your scuttle if fitted tight , they do sometimes warp in the heat and that may be causing some air turbulance that you can hear. 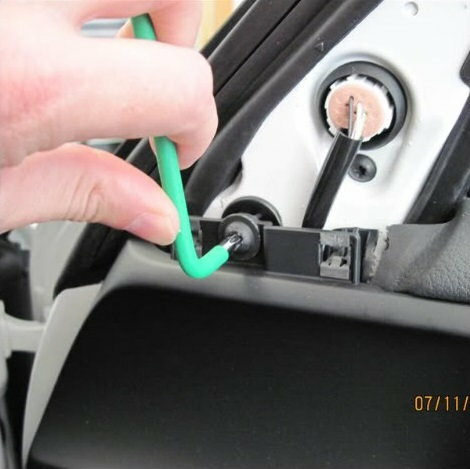 also try opening and closing the air recirculation button see it that makes any difference. Put masking tape in the shown areas .. if you have the noise after this then its not wind noise . Thanks, they are definitely different. 22 and 21 if I remember rightly. I have also already checked the scuttle panel and its on solid with good rubber contact at the top. Thanks, I will do that on my next motorway run between junctions/service stations. I specifically went on the hunt for a 70 zone today and took me over an hour return , good excuse to play but not for every test. I also have an air bed pump which I will use to blow around all the crevices and see if I can re-create it. Damn niggly things. I did this quickly this morning before leaving for work. The only thing I noticed was a slight lip at the very top. Does this look unusual i.e should seal/cover it? Also interestingly, it looks like someone has exactly the same symptoms http://www.911uk.com/viewtopic.php?p=619161 I have messaged them to see if they found a cure. Also back near the car again, I also noticed using that threads idea about water on a seal. The top of the passenger window did have a weaker seal than the drivers side, so my wifes hair band is doing stirling work of sitting in there to push out the seal. Will see if this helps as well. Also noticed the seal around the boot area was 'open' on the drivers side, so will check this when home as I suspect one of the plastic supports has gone walkabout and is not proping up the frunk trim into the rubber. If you press the recirc button it closes the flap in the pollen filter houseing there by eliminateing and air going through there . Worth a go!, I did put some masking tape around that gap but can't hurt to go around it some more. It could be the ones you have seen/done have been taped to prevent the noise as it seems they normally come without. Also I checked the frunk plastics this evening, turns out I am missing the very top left hand screw fixing bracket which is why the trim was sinking. That and a new screw on the way from Porsche for the grand total of £3.50 delivered ! Re: Recirc - Damn I think I have already tried that, worth another go! If all else fails, then its back to the windscreen. You are doing the right thing .. i also mask trims with tape to try and find a wind noise .. if its all masked and there is still a noise then its not wind ! Not seen that on a 997 though . Why is it almost every person here lives so far away from me .. sigh. You have been VERY helpful, I would absolutely drop in if local. I will probably have to take it back to the specialist I had it serviced at, when I head back that way/nearby if I don't have any joy with it. However I suspect Sunday is the day to test it, as I am finally heading onto a motorway then. Not sure what the wife will thing of a masked off 911 ! Have you checked the screen and surround for any objects... I had a strange wind noise from our Audi A8 which was driving me mad. In the end I spotted a tiny insect wing that was embedded in the surround rubber. Pulled it out and all was quiet! Just as you describe though, a static-y sort of noise.